There are no comments for Yin Yang Abstract. Click here to post the first comment. 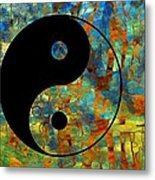 In Chinese philosophy, the concept of yin-yang (simplified Chinese: ����; traditional Chinese: ��; pinyin: y��ny��ng), which is often called "yin and yang", is used to describe how opposite or contrary forces are interconnected and interdependent in the natural world; and, how they give rise to each other as they interrelate to one another. 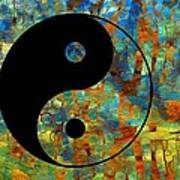 Many natural dualities (such as light and dark, high and low, hot and cold, fire and water, life and death, male and female, sun and moon, and so on) are thought of as physical manifestations of the yin-yang concept. 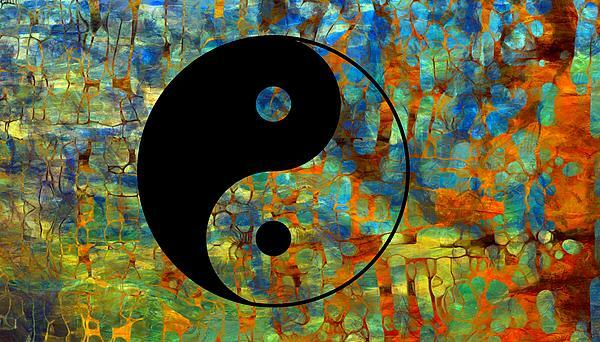 The concept lies at the origins of many branches of classical Chinese science and philosophy, as well as being a primary guideline of traditional Chinese medicine, and a central principle of different forms of Chinese martial arts and exercise, such as baguazhang, taijiquan (t'ai chi), qigong (Chi Kung), and I Ching.